I am just starting out selling diaper cakes. This was one of my firsts! I now make motorcycles, all size cakes, bassinets, cupcakes... and trying to sell more. 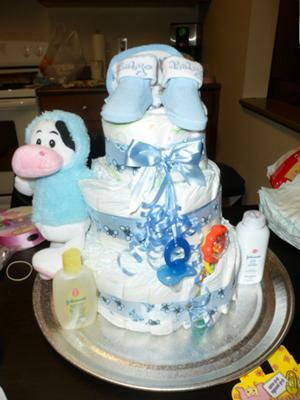 what a beautiful diaper cake kayla you did a great job! !